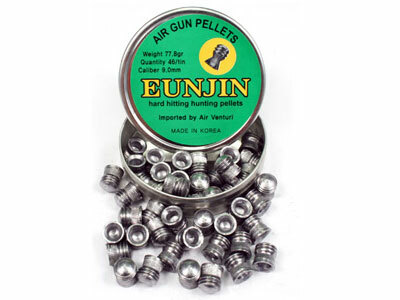 These Eun Jin 9mm bullets are made for airguns. 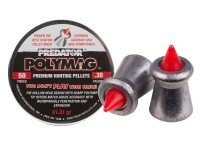 The domed shape is great for hunting small- and medium-size game. Things I would have changed: Quality Control - chipped and dented skirts, mismolded pellets, weights all over the place, mold marks - like a ten-year-olds first attempt at making lead soldiers. What others should know: VERY poor QC, I ordered 2 tins to try out and will be either returning one or melting them to use for molding. Tried in my ShinSung Infinity as well as my 201s, with the .35 JSB's off bags my Infinity and I group at .65 or under at 75yds,under an inch with RB's, these were literally missing the paper. At 30yds they were a 4-5" group off of bags - absolutely unacceptable. What gun were you using? 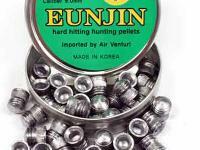 Things I liked: I use these in my .36 black powder revolver. I put them in backward. it's awesome, a huge soft hollow point going 1000fps. Things I liked: Accuracy is great for the price. 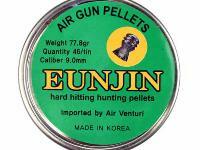 These pellets are a good compromise between the 67 gr. lead ball and the 95 gr. hollow point. Things I would have changed: More pellets per tin. At least fifty. What gun are you using? 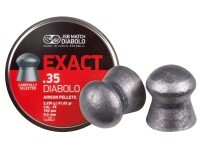 Will these fit in a Hatsan Big Bore Carnivore .357? 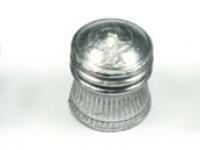 What in the heck are these made for? There's a 9mm airgun?